Any material, information or idea you transmit to or post by any means on the Stratus Website (a “Transmission”) will be treated as non-confidential and non-proprietary. You hereby grant Stratus a perpetual, non-exclusive, irrevocable, fully-paid, royalty-free, sub-licensable and transferable (in whole or part) worldwide license under all copyrights, trademarks, patents, trade secrets, privacy and publicity rights and other intellectual property rights you own or control, to use, reproduce, transmit, display, exhibit, distribute, modify, create derivative works based upon, and otherwise exploit such Transmission, in whole or in part, for any and all purposes including development, manufacturing or marketing purposes, all without further notice to you, with or without attribution, and without the requirement of any permission from or payment to you or to any other person or entity. By submitting a Transmission, you represent and warrant that: (a) you own all rights in your Transmission or, alternatively, you have acquired all necessary rights in your Transmission to enable you to grant to Stratus the rights in your Transmission described herein; (b) your Transmission does not infringe the copyright, trademark, patent, trade secret, or other intellectual property rights, privacy rights, or any other legal or moral rights of any third party;(c) any information contained in your Transmission is not known by you to be false, inaccurate, or misleading;(d) your Transmission does not violate any laws, rules or regulations (including, but not limited to, those governing export control, consumer protection, unfair competition, anti-discrimination, or false advertising);(e) your Transmission is not, and may not reasonably be considered to be, defamatory, libelous, hateful, racially, ethnically, religiously, or otherwise biased or offensive, unlawfully threatening, or unlawfully harassing to any individual, partnership, or corporation, or vulgar, pornographic, obscene, scandalous, inflammatory, or invasive of another’s privacy; and (f) your Transmission does not contain any viruses, worms, spyware, adware, or other potentially damaging programs or files. Stratus may, but is not obligated to, pre-screen Transmissions or monitor any area of the Stratus Website through which Transmissions may be submitted. Stratus is not required to host, display, or distribute any Transmission on or through the Stratus Website and may remove at any time or refuse any Transmission for any reason. Stratus reserves the right to reveal your identity (or whatever information Stratus may know about you) in the event of a complaint or legal action arising from any Transmission posted by you. THE STRATUS WEBSITE IS PROVIDED “AS IS” AND “WITH ALL FAULTS.” STRATUS EXPRESSLY DISCLAIMS ALL WARRANTIES OF ANY KIND, WHETHER EXPRESS, IMPLIED, OR STATUTORY, WITH RESPECT TO THE STRATUS WEBSITE (INCLUDING, BUT NOT LIMITED TO, ANY IMPLIED OR STATUTORY WARRANTIES OF MERCHANTABILITY, FITNESS FOR A PARTICULAR USE OR PURPOSE, TITLE, AND NON-INFRINGEMENT). WITHOUT LIMITING THE GENERALITY OF THE FOREGOING, STRATUS MAKES NO WARRANTY THAT THE STRATUS WEBSITE WILL MEET YOUR REQUIREMENTS, WILL BE UNINTERRUPTED, TIMELY, SECURE, OR ERROR FREE, THAT DEFECTS IN THE STRATUS WEBSITE WILL BE CORRECTED OR THAT THE STRATUS WEBSITE OR THE SERVERS THAT MAKE THE CONTENT AVAILABLE ARE FREE OF VIRUSES AND OTHER HARMFUL CONTENT. STRATUS MAKES NO WARRANTY AS TO THE RESULTS THAT MAY BE OBTAINED FROM THE USE OF THE STRATUS WEBSITE OR AS TO THE ACCURACY OR RELIABILITY OF ANY INFORMATION OBTAINED THROUGH THE STRATUS WEBSITE. The materials on the Stratus Website are provided with “RESTRICTED RIGHTS.” Use, duplication, or disclosure by the Government is subject to restrictions as set forth in applicable laws and regulations. 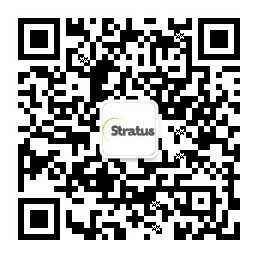 Use of the materials by the Government constitutes acknowledgment of Stratus’ proprietary rights in them. The Stratus Website is controlled and operated by Stratus from its offices within the United States. Stratus makes no representation that materials in the Stratus Website are appropriate or available for use in other locations, and access to them from territories where their contents are illegal is prohibited. Those who choose to access the Stratus Website from other locations do so of their own initiative and are responsible for compliance with applicable local laws. You agree to comply with all export and re-export restrictions and regulations of the Department of Commerce and any other United States or foreign agencies and authorities in connection with your use of the Stratus Website and agree not to, in violation of any laws, transfer, or authorize the transfer of, any materials to a prohibited country or otherwise in violation of any laws. Copyright © 1980-2011 Stratus Technologies Bermuda Ltd. All rights reserved. The following are service marks of Stratus Technologies Bermuda Ltd.
Intel and the Intel Inside logo are registered trademarks and Xeon is a trademark of Intel Corporation or its subsidiaries in the United States and/or other countries/regions. Microsoft, Windows, and Windows Server are either registered trademarks or trademarks of Microsoft Corporation in the United States and/or other countries/regions. VMware, VMotion, vSphere, and ESX are registered trademarks or trademarks of VMware, Inc. in the United States and/or other jurisdictions. SAP, R/3, mySAP ERP, SAP NetWeaver, the SAP logo, and the SAP Partner logo are trademarks or registered trademarks of SAP AG in Germany and in several other countries. The registered trademark Linux is used pursuant to a sublicense from the Linux Mark Institute, the exclusive licensee of Linus Torvalds, owner of the mark on a worldwide basis. Red Hat, Enterprise Linux, and the Red Hat Shadowman logo are registered trademarks of Red Hat, Inc. in the United States and other countries. Hewlett-Packard, HP, and HP-UX are registered trademarks of Hewlett-Packard Company. FTX is a registered trademark of Lucent Technologies (except in Japan where it is a trademark) and RSN is a trademark of Lucent Technologies.